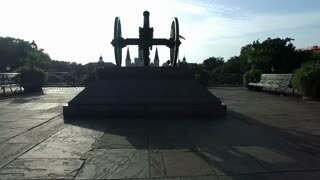 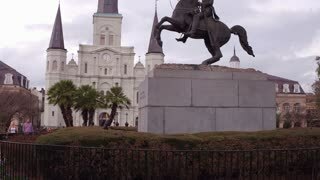 Search Results for "jackson square"
New Orleans Jackson Square Cathedral Time-Lapse. 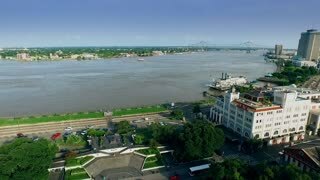 A time-lapse overlooking Jackson Square and St. Louis Cathedral in the French Quarter of New Orleans, Louisiana. 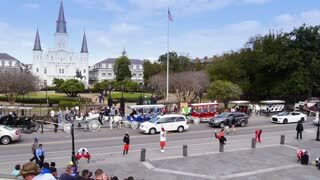 Tourists and horse-drawn carriages in the foreground. 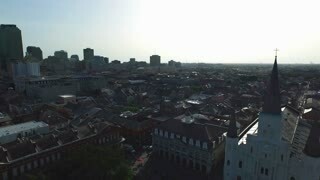 Aerial fly over St. Louis Cathedral in Jackson Square, French Quarter in New Orleans in the late afternoon at sunset. 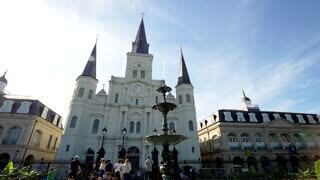 City of New Orleans historical landmark situated in the French Quarter at Jackson Square is the St. Louis Cathedral. 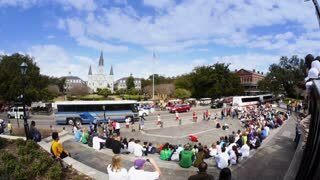 New Orleans street nightlife with Tourists near Jackson Square. 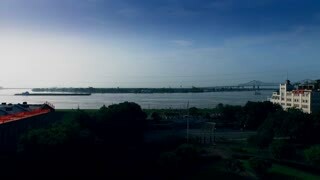 HD Time lapse Shot. 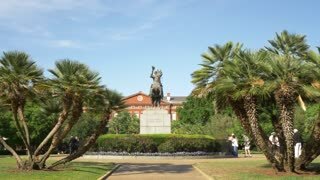 Long-shot view of Jackson Square in the New Orleans French Quarter. 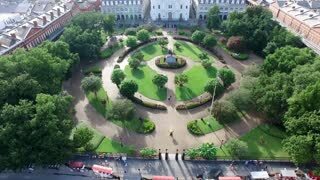 Beautiful Jackson Square and St. Louis cathedral in New Orleans, Louisiana. 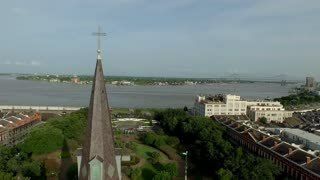 A statue of Jesus is made large in shadow at night on St. Louis church in Jackson Square, New Orleans.